Promoting active travel for recreation, exercise and destinations. The cycle network is open to public access. Paid staff and volunteers from Sustrans and local cycling organisations may be able to accompany visits to local cycle tracks. Sustrans can also provide information to individuals, schools and community groups on cycling and other transport issues, including local cycle routes, and may be able to give talks. 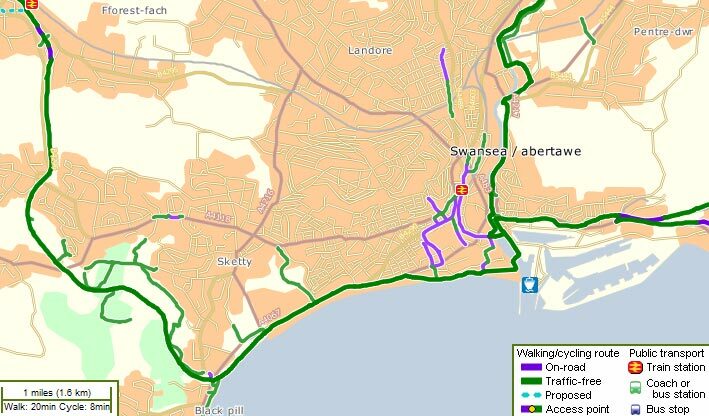 The main cycle routes in Swansea pass many interesting historical, ecological and geographical features, including several other projects on the Swansea Sustainability Trail.